Want to become a new member? Go to our registration page and choose your level of membership when registering. 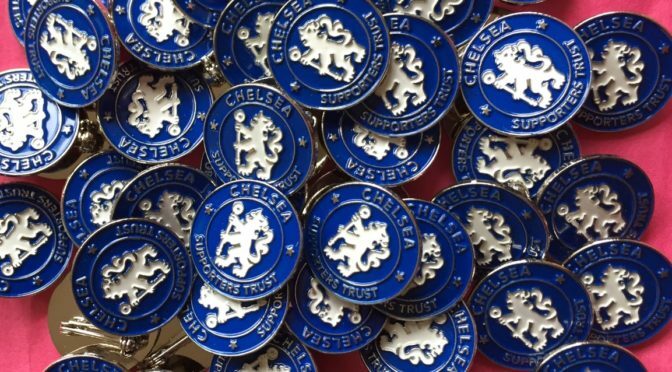 membership@chelseasupporterstrust.com or via our Contact page here. There are different levels of membership of the Trust; Voting member, Affiliate member, Business member, and Non-voting member. Individual Member – £5 pa. The basic membership is where registrant receives all Trust news and updates and is entitled to vote. Affiliate Member – £25 pa. 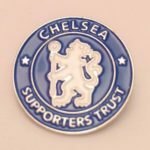 The Affiliate member receives all Trust news and updates, and is entitled to vote as a group – this category is for Chelsea supporters running websites, podcasts or fanzines or for official and unofficial supporters groups in the UK and Overseas. Individuals who belong to these groups are also entitled and encouraged to join as an individual member. Our list of Affiliate members can be found here. Business Member – £50 pa. The Business member is aimed at businesses and institutions. Business members receive all news and updates, and are entitled to vote. Business members receive links to their own business websites on our web site here. All new paying members will receive our unique pin badge – just make sure you email us your name and address and please allow 28 days for delivery. The non-voting member will receive news and updates, but is NOT entitled to vote on Trust issues and does not receive our unique pin badge. We welcome all members, but would much prefer to have voting members who can have their say on Trust issues. Come and chat to us, we can be found around various sections of Stamford Bridge and the local vicinity on match days, details of the current CST Board members can be found here. The Chelsea Supporters’ Trust is non-profit making and has the best interests of the fans as its priority. Costs are incurred with the running of the Trust, so a donation facility is also in place for those who wish to do so, member or non-member.